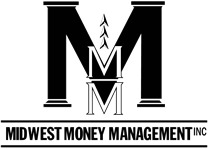 Investment Models | Midwest Money Management Inc. This is our most flexible model in the sense that we have the ability to be as aggressive or conservative at any given moment as we believe market conditions warrant. Assets have the potential to be fully invested (except for 2%) in equities or whatever asset class we deem to have the highest growth potential. However we will implement hedging strategies and potentially reduce our exposure to market fluctuations in the short term if we believe that market conditions warrant it.